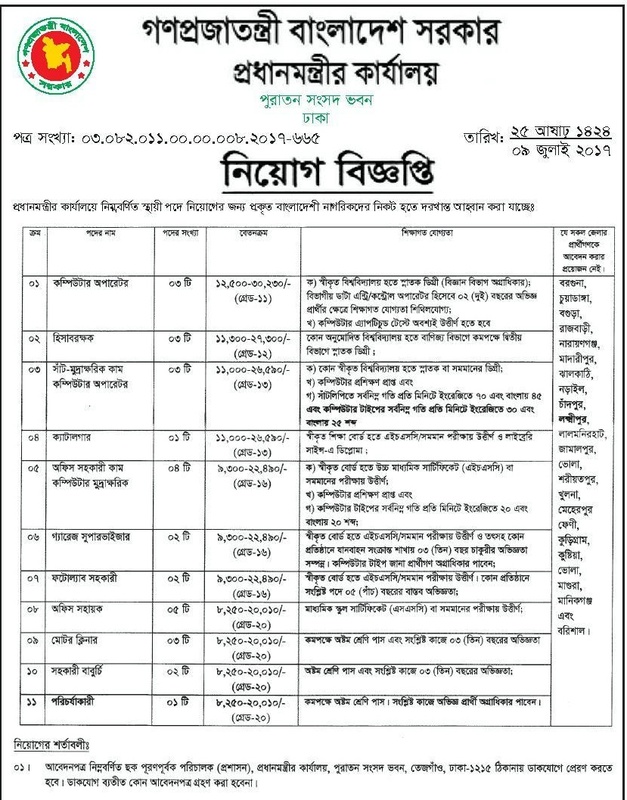 Prime Minister Office Job Circular 2017 has been published for Bangladeshi People by Newspaper. 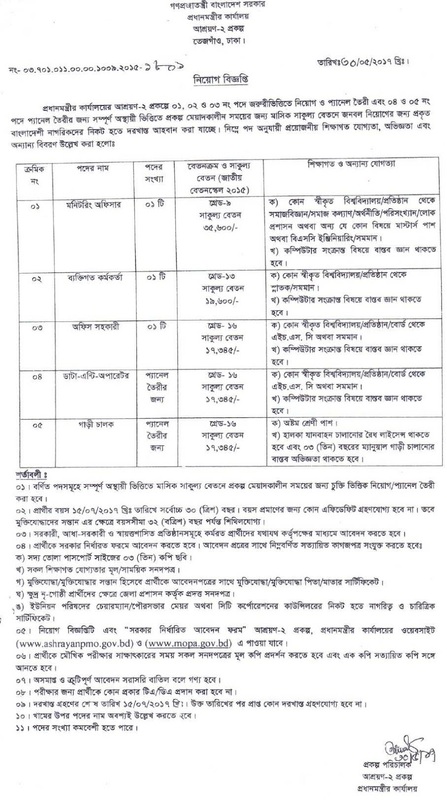 All applicants will found necessary information about PMO Job Application from http://nsi.teletalk.com.bd and also from our website. 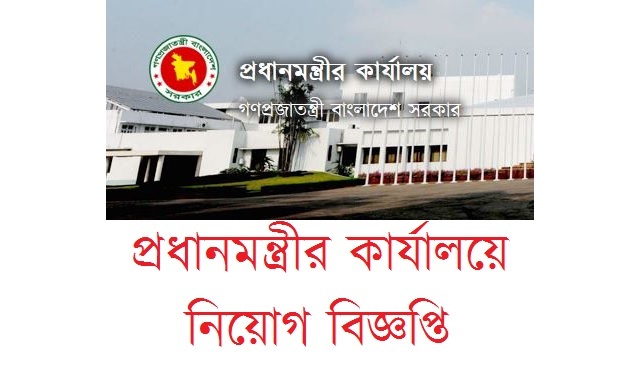 How to apply for Prime Minister Office Job in Bangladesh? The rules are given in the circular above.